Home » Tips and Tricks » Does Honda or Toyota Offer Better Standard Safety Features? Many car manufacturers are offering ever better driver assistance features in their new vehicles. This technology can do everything from notify a driver that there is someone in their blind spot while they are driving on the highway, to stopping automatically if a pedestrian is detected in a crosswalk. Even better, more and more of these safety suites are coming standard on new vehicles. In this blog we are going to check out two heavy-hitters in the driver assistance market and pit Honda Sensing vs Toyota Safety Sense. While individual vehicles will offer different sets of features, we can share some general information about these two systems. You May Like: What does “Top Safety Pick” mean, and why does it change? Both of these brands include some kind of autonomous emergency braking in their driver assistance systems, as well as advanced, speed-adjusting cruise control, and some form of lane-keeping assistance or warning. Honda adds Road Departure Mitigation, while Toyota includes automatic high beams (which will go on and off automatically so as to not blind oncoming drivers). 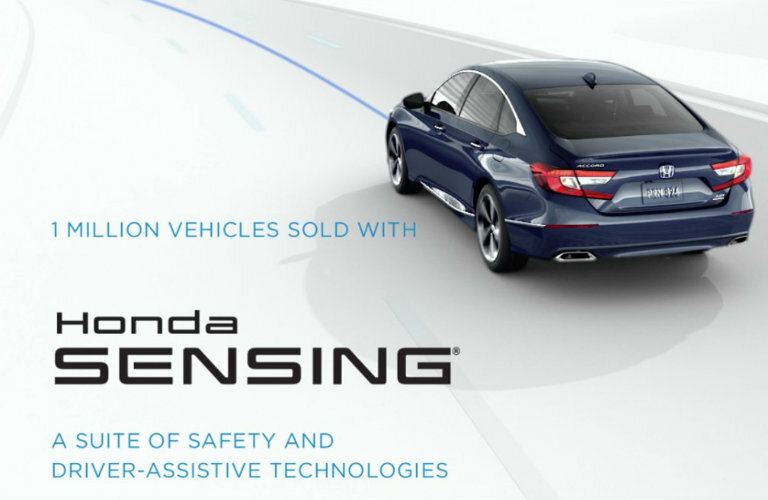 Other feature available on 2018 and 2019 models include Traffic Sign Recognition, Honda LaneWatch, Blind Spot Information System, Cross Traffic Monitor, and Auto High-Beam Headlights. Other feature available on select models include Road Sign Assist, Blind Spot Monitor with Rear Cross Traffic Alert, and Lane Tracing Assist. Which brand offers driver assistance on more vehicles? Times may change rapidly, but for 2018 most new Honda vehicles will offer Honda Sensing on the second-level ttrim and above. Many offer it on all models. Going into the 2019 model year and beyond Honda will offer this on all their vehicles, and it will be standard on most. While Honda is rapidly filling the field with its suite of driver assistance features, Toyota had an early and strong start. 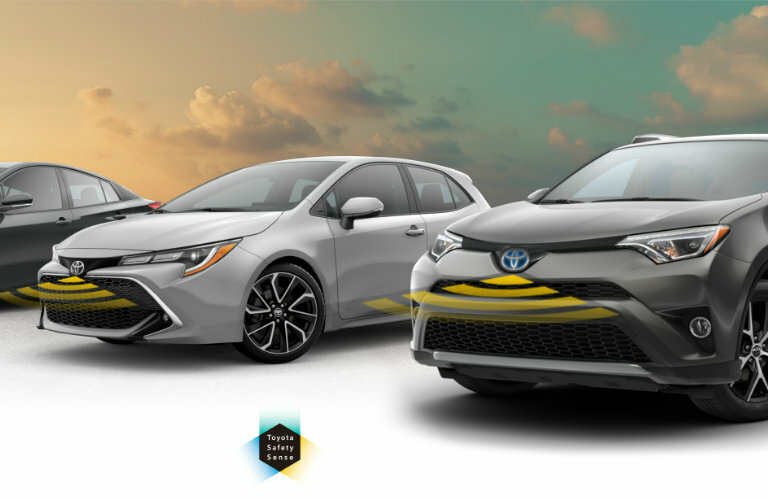 The brand committed to making most of the Toyota Safety Sense features standard in its models starting in the 2017 model year and beyond, which means that most new Toyota models offer them. The assistance suite that you ultimately choose will depend on what you are looking for in a vehicle and, if you are shopping used, what models are available. We hope that this information has helped you with your search. This entry was posted on Wednesday, October 10th, 2018 at 10:08 pm	and is filed under Honda, Technology, Tips and Tricks, Toyota. You can follow any responses to this entry through the RSS 2.0 feed. You can skip to the end and leave a response. Pinging is currently not allowed.